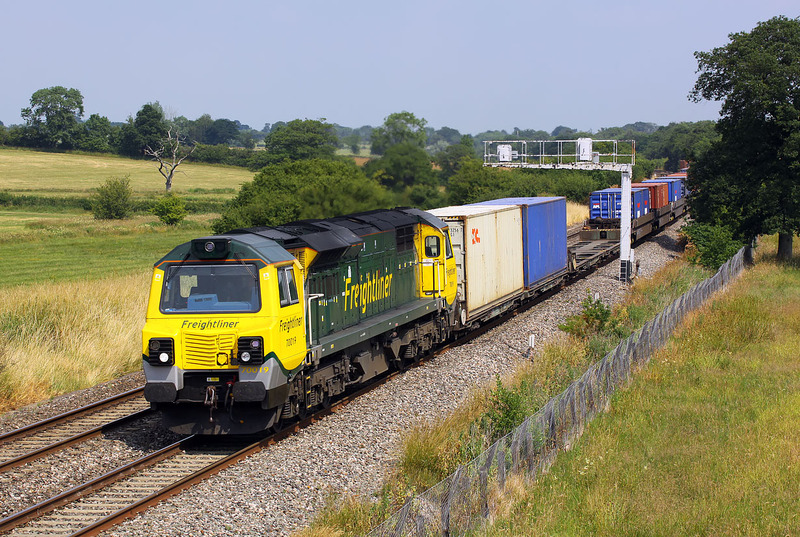 70019 passes Acton Turville on 18 July 2013 with the 4V50 10:32 Millbrook to Wentloog freightliner. It was doing well to make up for lost time, after an 85 minute late departure from Millbrook. Just 20 minutes down here, and it reached its destination within a few minutes of the booked time.